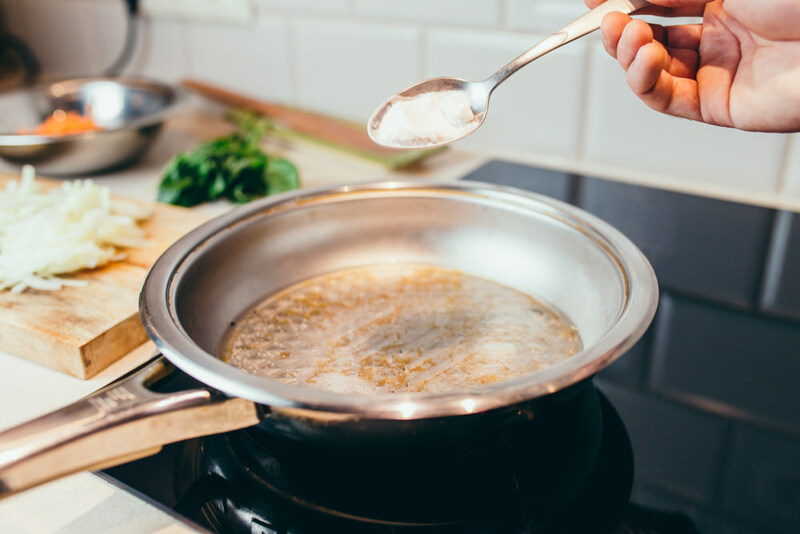 Save Your Scorched Pans With These Handy Tricks - Planned Property Management, Inc.
Having to clean dirty pots and pans is just one of the necessary evils that coincide with domesticated apartment bliss (unless you’re lucky enough to have someone else do your dirty work). Things get trickier when pots get burnt on the stove, which is inevitable at some point. Scorched pans are infamously tough to recover, but with the right knowledge, you can get them looking good again. We’ve got some easy ways to save your scorched pans using household items you already have on hand. Did you know you can use dryer sheets to clean burnt pots and pans? This method is easy, and it works really well. Simply fill your scorched pan with warm water, then place a dryer sheet on the bottom of the pan. Be sure to push the sheet down so it becomes fully submerged in the water. Let it sit for 3-4 hours. 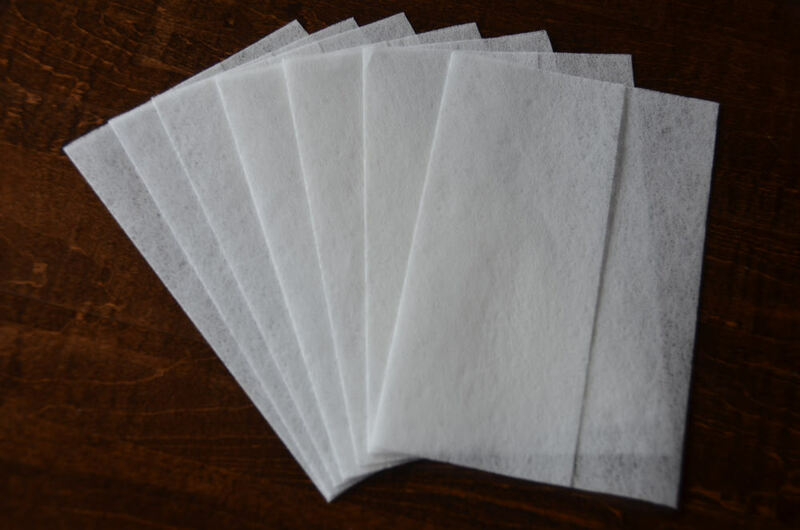 Then use the dryer sheet as a scrubbing tool to clean off the debris. Baking soda does it again! This trick is best for stainless steel pots and pans. To scrub away burnt debris, make a “paste” by mixing together some baking soda with warm water. Apply the paste to the scorched pot or pan, then scrub the gunk away. We’ve all told ourselves the dirty dishes “need to soak” a bit longer. It’s a pretty standard card to pull when you’re procrastinating from doing the dishes, but it has some truth to it. 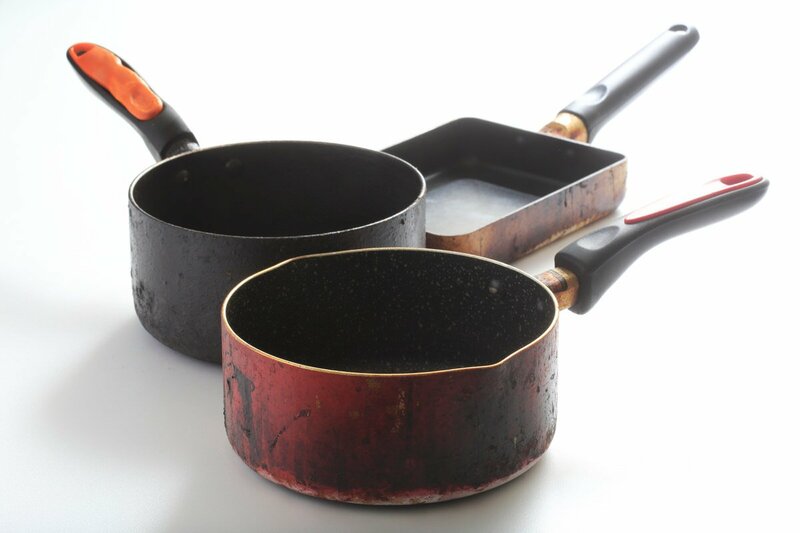 When it scorched pans, letting them soak in warm, sudsy water overnight really can help you clear them of burn marks. 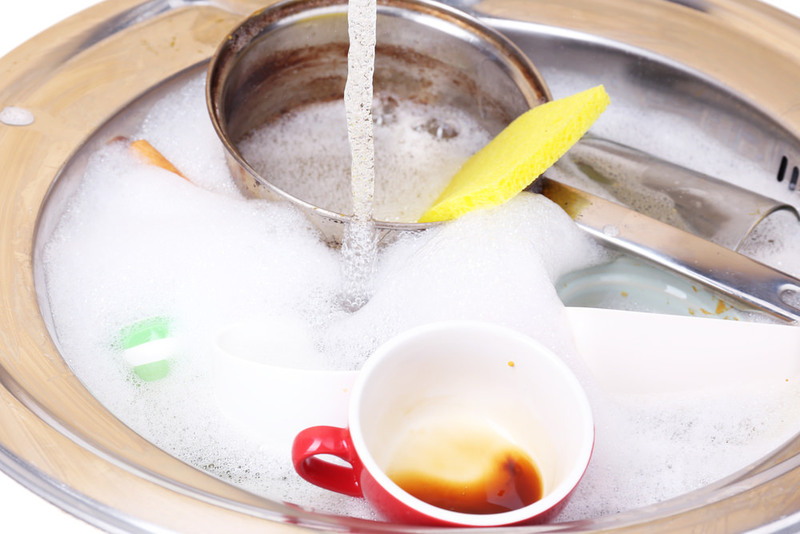 After the pot has soaked, wash the soapy water away with fresh warm water and scrub it clean. Looking for a new place to call home? Schedule a tour with us to find your next Chicagoan apartment.